The 2018 Honda Accord has just been announced, and although we do not know all the details, it is already expected that it will quickly become one of the most popular midsize sedans on the market when it arrives a little later this year. With new engines and a style that promises to be more aggressive, the new 2018 Honda Accord should indeed continue the momentum initiated by the current generation. At the heart of the new 2018 Honda Accord is a 1.5-liter turbocharged four-cylinder engine that will replace the 2.4-liter four-cylinder currently available. We don’t know yet how much power this engine will produce, but it will probably be similar to the 190 horsepower found in the Honda CR-V that also features a 1.5-liter, four-cylinder turbo engine. This engine will be paired to either a continuously variable automatic transmission, or a six-speed manual transmission. The biggest change, however, is the top-of-the-line engine. It will now be a four-cylinder 2.0-liter turbo that will replace the V6 that we find in the current model. 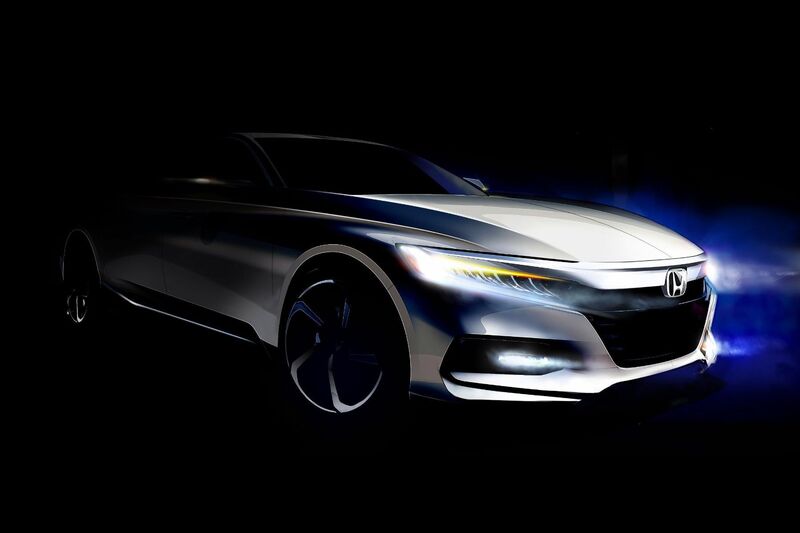 Again, the power is not yet confirmed, but we already know that the turbo engine offered in the 2018 Accord will be paired with a 10-speed automatic transmission, making it exclusive and unique in the mid-size sedan segment. In addition to improving fuel economy, this new automatic transmission promises to offer increased comfort and impressive performance. To learn more about the new 2018 Honda Accord or the current model, contact us today at Orleans Honda.